Dozy House offers impeccable service and all the essential amenities to invigorate travelers. Guests of the hotel can enjoy on-site features like Wi-Fi in public areas, airport transfer, room service, family room, bicycle rental. Guests can choose from 15 rooms, all of which exude an atmosphere of total peace and harmony. The hotel offers many unique recreational opportunities such as massage, gym. Dozy House is an ideal place of stay for travelers seeking charm, comfort and convenience in Chiang Mai. When you stay at a great central location like Dozy House, it is easy to explore the centuries old heart of Chiang Mai City, where uniquie temples coexist alongside restaurants and modern conveniences. It is only 5 minutes away from Chiang Mai International Airport by car. It is also close by markets, nightclubs, and easy to get to Suthep Mountain, Chiang Mai Zoo, Chiang Mai University and Hospital. It is an outstanding location for backpackers to base themselves. Chiang Mai is steeped in culture, tradition, and history - it is over 700 years old. Chiang Mai is a cultural centre with many festivals and major events. Speak the English speaking staff about recommendations for what to see, do, visit, taste, play or enjoy while you are in Chiang Mai. We are very good at assisting you with requests - try us! 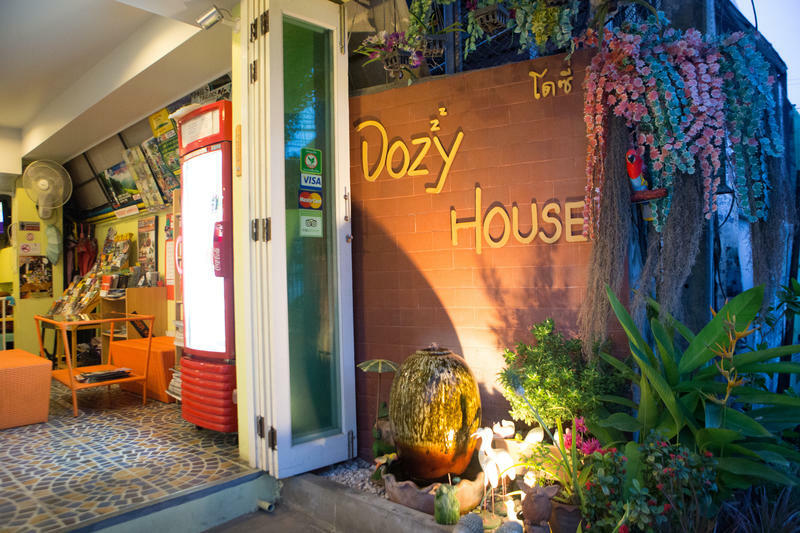 Dozy House is located in the North West corner of the old Chiang Mai city wall. It is not far from Chiang Mai international airport, just only 10 minutes away by taxi.